BACKGROUND: Field construction/engineering management: Field-oriented project and facilities engineering, planning, and coordination. Primary areas of expertise: complex interdisciplinary projects; power plants; oil/gas/petrochemicals; science support, technical and industrial facilities; extensive mechanical, electrical and control systems; modular construction; isolated field locations; Arctic/Antarctic regions. 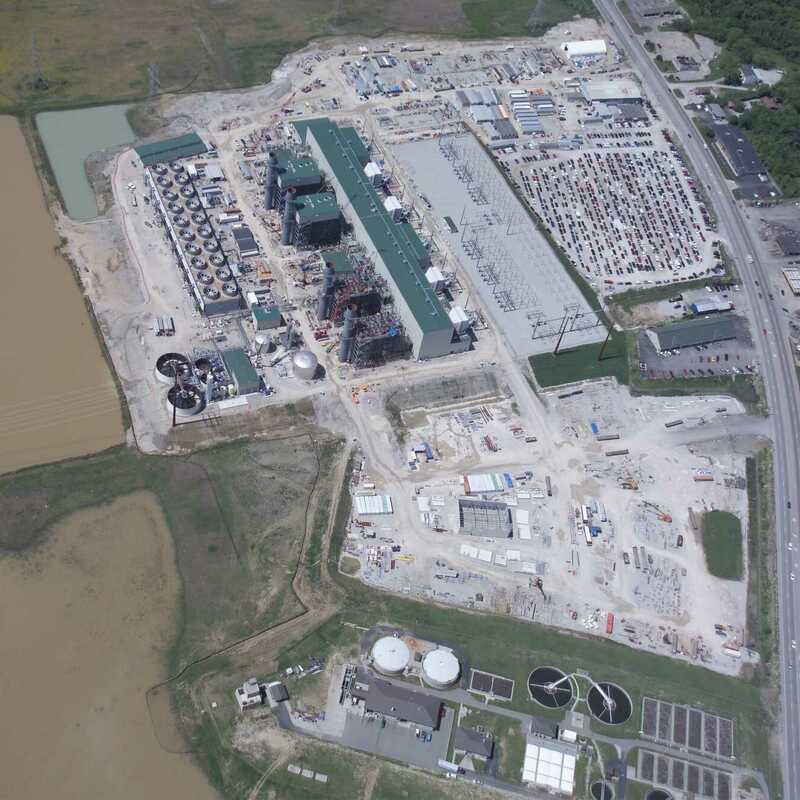 2010-11 HRSG Field Engineer, (Fluor) on 580 MW gas turbine-combined cycle power plant for Dominion Energy, in New Canton, VA. Performed field engineering, vendor coordination, and resolution of engineering/construction issues for erection of two Nooter/Eriksen heat recovery steam generators, including construction walkdowns, hydrotest completion, and final completion. Also walked down and resolved final construction issues with high-energy steam piping, auxiliary boiler and steam systems, and inlet chiller systems. 2009-10 Piping Field Engineer, (Fluor), assigned to delayed coker unit of a major expansion of the TOTAL refinery in Port Arthur, TX. Worked to coordinate and resolve field engineering issues between site personnel, home office engineering and vendors, particularly involving underground firewater piping, heavywall coker piping, installation of offsite prefabricated piperack modules, fired heater erection, and temporary construction elevator installation. 2008 SPSM Project Engineer, Raytheon Polar Services Company, Centennial, CO. Assigned to South Pole Station in Antarctica for 10 months in support of construction of a new logistics facility and completion of other portions of this scientific research station. Worked with construction personnel to resolve engineering and construction issues; coordinated with home office and vendors; worked to identify and verify completion construction punch list items. Inspected construction of the new elevated station at the geographic South Pole in Antarctica. Inspected contractor work daily, provided documentation reports to the design team and NSF. Assignment included 9 months of total isolation as part of 60-member station group, in winter darkness and temperatures approaching -100°F. 2006-08 Field Engineer (Fluor), assigned to new 220 MW coal fired power plant 50 miles west of Elko, NV. Responsible for engineering and vendor coordination for pressure parts and ancillary equipment including ductwork, coal handling, and scrubber/baghouse facilities for Babcock & Wilcox pulverized-coal fired boiler. Client: Newmont Mining Corporation. 2005 Title II Inspector, RSA Engineering, Inc., Anchorage, AK. Inspected construction of the new elevated station at the geographic South Pole in Antarctica. Inspected contractor work daily; provided documentation reports and photographs to the design agent (U. S. Navy) and client (National Science Foundation) and assisted with resolution of discrepancies and design issues. This 10-month assignment included 9 months of total isolation as part of an 86-member station group, 5 months of darkness, and temperatures as low as -110°F. 2004 Project Officer assigned to Federal Emergency Management Agency (FEMA) disaster recovery office in Pittsburgh, PA. Assisted local municipalities with evaluation of damages and preparation of aid grant requests for flood damages to public facilities caused by Hurricane Ivan. 2000-04 Field Engineer on combined-cycle gas turbine power plants. Primarily responsible for pressure parts field engineering on Alstom and Aalborg heat recovery steam generators and associated high pressure steam piping. Projects include direct-hire and subcontract management. Also coordinated other piping and plant insulation subcontractors. Duke/Fluor-Daniel; Clients: PSEG Lawrenceburg, IN (2003); Duke Energy North America: Hanging Rock, OH (2002-03); Beverly, OH (2002); Moss Landing, CA (2001-02; Hinds County, MS (2000-01). 1998-99 Area Lead Field Engineer for 150,000 MH added scope at refinery turnaround. Independently developed work and staffing requirements to complete all disciplines of engineering planning and work packages during brief 3-week period before shutdown. Managed staff of 9-11. Tracked engineering package status and completion for scope work and hundreds of extra work orders. Client: Murphy Oil USA, Mereaux, LA. 1996-98 Mechanical/Piping Engineer on construction management staff at major refinery coker unit construction/rebuild project. Coordinated activities of other piping construction engineers and document control; developed inspection requirements, scopes of work, material lists and test packages for existing and new equipment and piping systems; worked with client, vendors and design engineers to resolve issues. Client: TransAmerican (Orion) Refining Corp., Norco, LA. 1995 Engineering/Turnover Coordinator for construction of highly successful butanol unit project. Managed 6-8 field engineers and assistants for preparation of piping test packages, equipment work, and electrical/instrumentation field engineering. Worked with design engineer and client to resolve complex field engineering issues in all disciplines. Developed turnover system; managed punchlisting and walkdowns; issued completion and turnover notices. Client: Union Carbide, Taft, LA. 1995 Piping Engineer for major turnaround project at chemical plant. Part of field engineering group; reviewed work packages, resolved field problems, and performed walkdowns for testing and completion of piping/mechanical systems. Client: Exxon Chemical Co, Baytown, TX. 1994 Turnover Engineer for direct-hire polyethylene plant expansion. Assigned to Quality Control/Turnover Group; performed walkdowns and coordinated mechanical completion of piping systems and vendor package equipment. Client: Himont, Inc., Lake Charles, LA. 1992-94 Area Engineering Manager for direct hire fabrication of GHX-2 ARCO Alaska, Inc. modular gas/oil processing facilities, a 2-year, $190 MM project at New Iberia, LA. Organized and directed the construction field engineering support: issue of work package engineering documents to the field; coordination and resolution of design issues; coordination of walkdowns with area engineers; and completion/signoff of as-built drawings and documentation. Developed computer programs and databases for site use in automating preparation of test documentation, identifying as-built drawing requirements and tracking system completion. Supervised staff of 10-15. 1990-92 Senior Project Engineer assigned as client mechanical field engineer at Alyeska Pipeline Service Co., Valdez, Alaska terminal. Responsible for material selection and field coordination for various projects, including $40 MM ballast water treatment project, power plant upgrade, and pipeline corrosion repairs. Primary task was development, design, installation and startup of flocculant skimming systems for two 5.8 million gallon treatment basins. 1986-90 Special Project Engineer, ITT Antarctic Services, Inc., Paramus, NJ. Responsible for planning, design, procurement, coordination, and field engineering activities at and for U. S. National Science Foundation (NSF) Antarctic research stations. Independently implemented major site improvements including: power plant generator and equipment replacements; utility, HVAC and fire protection systems; marine facilities; laboratory renovations; and major repairs to buildings and structures including the South Pole geodesic dome. Organized and directed activities of consultants and vendors. Coordinated planning activities; including long-range facility requirements, environmental protection, and structural evaluation of buried icecap facilities. Developed database systems for project drawing files and material tracking. Provided technical assistance to site O&M and science support personnel. 1982-86 Senior Field Engineer, Fluor Constructors, Inc. Responsible for all disciplines of field engineering at Alaska modular petrochemical plant construction projects. Coordinated resolution of problems between contractors, designer, client and vendors. Supervised staff of 5-10 discipline engineers. Coordinated activity of vendor representatives for power generation/cogeneration systems and other mechanical equipment. Organized and directed preparation of field precommissioning and turnover procedures, including startup procedures for plant utility systems and mechanical equipment. Projects: Lisburne Production Center ($700 MM) at Oregon module yards (1985-6) for ARCO Alaska, Inc.; Produced Water Treatment ($250 MM) at Prudhoe Bay module installation site (1982-84) for Sohio (BP). 1985 Resident Engineer, Russell Associates, San Francisco, CA. Coordinated onshore/offshore geophysical/geotechnical field program at coal shiploading terminal site in Cook Inlet, Alaska. 1981-82 Project Engineer, Fluor Engineers and Constructors, Inc., Irvine, CA. Responsible for gravel mining permit applications for proposed Northwest Alaska gas pipeline construction, involving production of over 40 million cubic yards of gravel from several hundred sites throughout Alaska. Identified technical data requirements; coordinated development of mining plans and environmental data; packaged agency submittals. Scheduled and coordinated mining plan reviews for client and government agencies in Irvine, Houston, and Alaska. 1979-81 Facilities Engineer, Ford Aerospace and Communications Corp., Sunnyvale, CA. Responsible for project criteria development, site surveys, design review, and construction coordination for worldwide network of U. S. Air Force satellite tracking stations. Helped develop major building projects in Greenland, Sunnyvale, Colorado Springs, and the Seychelles. 1978 Facilities Engineer, ITT FELEC Services, Inc. Planned and developed maintenance and construction work at Air Force Ballistic Missile Early Warning System (BMEWS) radar site at Thule, Greenland. Supervised water testing and material control staff; was project engineer for main bearing replacement on 110-ton radar antenna. 1976-77 Station Manager, Holmes & Narver Inc. Responsible for life support, operations, maintenance, and construction at NSF research station at geographic South Pole, Antarctica. Site conditions included 6-month darkness, cold, high altitude and 9 months of total isolation. Successfully managed staff of 20 employees and science personnel during winter period. 1971-75 Engineering Officer, U. S. Navy (military service). Managed engineering services of Seabee construction battalion at various worldwide construction sites. Also served as planning officer for public works department at Washington, DC Navy Yard.